It CrossFit OPEN season, baby! Let's get ready to have some fun! The CrossFit Open is the first step in finding the “Fittest Person on Earth”. It is a worldwide competition and takes place in CrossFit affiliates like Shotgun around the globe during this time every year. It is 5 weeks long and is comprised of 5 workouts; one workout per week. The workouts are the brain children of the director of the CrossFit Games, Dave Castro. The workouts are not known before to anyone — so CrossFitters around the world are chomping at the bit to find out what lies ahead. It’s like Christmas for CrossFitters (in a bit of a twisted way). In a live release on Thursdays that we broadcast at Shotgun, Dave Castro tells us what that week’s workout is. And then this is when the fun starts at Shotgun! 1. THE OPEN IS ALL ABOUT COMMUNITY - Out of all the activities we do at Shotgun, this is THE most single unifying event of the year. Period. We share in each other’s success, and we share in each other’s struggles, but the important thing is that we step up to the challenge, become closer as a community, and conquer it together. 2. THE OPEN GETS YOU OUT OF YOUR RUT — Just like signing up for a 5K, triathlon, marathon — the Open makes us get focused and tighten up our training and habits. The Committed Club list gets longer, our nutrition becomes tighter and on point and we get more sleep…. Simply because - IT’S THE OPEN! The Open is an excellent motivator for those who have lost their mojo at the gym and is often the kick in the pants they need to get back on track. 3. THE OPEN MAKES US BETTER - We triumph during the Open, and we have setbacks during The Open, but at the end of the day we will learn from the experience. We'll learn what we're good at, we will learn what we need to work on, and we will learn how uplifting this process can be. 4. YES - YOU ARE READY FOR THE OPEN! — I’ve seen athletes compete who had one week of CrossFit experience and also others who’ve had 5 years of experience do the Open. Both had equally valuable experiences. I personally competed in the Open with one arm in a cast with 4 pins sticking out of my wrist. I’ve witnessed very pregnant women compete in the Open and others who had babies literally weeks before. I’ve seen folks who are having serious personal struggles compete in the Open. I’ve seen people fighting cancer complete The Open. After putting it all in perspective, “I’m just not good at double-unders,” or “I can’t do a pull-up” or “I won’t do as well as last year”. doesn’t seem like a good excuse to not participate. The CrossFit Open is simply a snapshot of where your fitness is now, today. Check your ego at the door, motivate each other, and get ready to be inspired. 5. YES, YOU DO HAVE TIME FOR THE OPEN — Whether or not you are signed up, you still will do the workouts at Shotgun CrossFit. Sooooo - you might as well sign up! *Side note: The coaching staff at Shotgun is dedicated to helping you complete all five workouts. We will meet you at off times in order to help you meet your goal. WE WILL HELP YOU MAKE IT HAPPEN! 6. The OPEN IS WHERE THE MAGIC HAPPENS: There’s something about the Open that makes things click. People learn double-unders. They get their first toes to bar. They jump on a box for the first time. They lift a new PR. They get that miracle first muscle-up. IT HAPPENS EVERY YEAR. Not only did these athletes accomplish something for the first time, they came away from those workouts with a new sense of confidence and excitement about their training for months to come. After its all said and done and scores are forgotten, these magical Open moments are etched into our hearts. There’s nothing like it. YES - YOU GET A FREAKIN' T-SHIRT! - If you do ALL 5 workouts and submit ALL 5 scores you earn yourself a free custom designed Shotgun CrossFit Open tshirt. This year it’s awesome and you can be one of the cool kids rocking your Open shirt! (Note: You must be a full paying member of Shotgun CrossFit in order to be eligible for a free shirt). So - now it’s time to sign up! 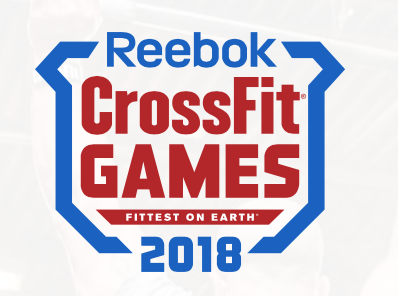 Head right now to https://games.crossfit.com. **Be sure to list Shotgun CrossFit as your affiliate. Then come to Shotgun CrossFit and proudly put your name on our CrossFit Open whiteboard. HAPPY CrossFit OPEN SEASON! It’s the most wonderful time of the (CrossFit) year!